Organic Baby Clothes Essentials at a Fraction of the Price. Delivered to your door at each phase of your baby's growth. Send back after use and save on the next size. Premium organic baby clothes at each phase of your baby's growth. The Future Starts With Them. Happy Babies in Mindful Clothing. 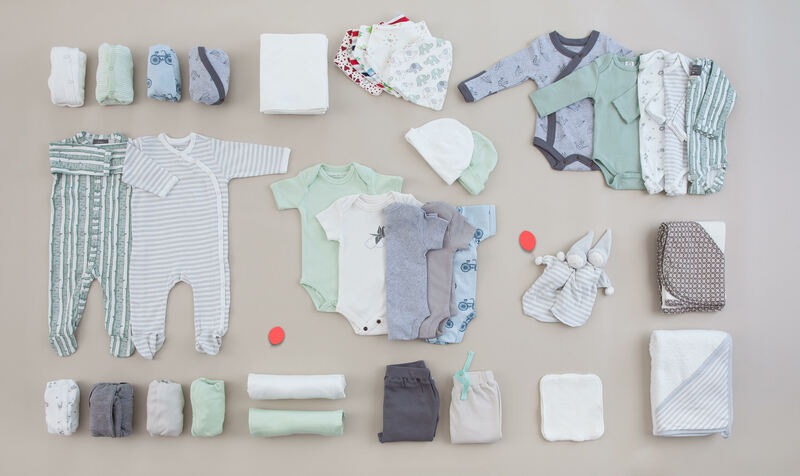 Pick your set of organic baby clothes based on size, style, and price preferences. Pay for it in one payment or monthly installments. Return the clothes when your baby grows and save up to 20% off your next set. No subscription required. Shipping is always on us. Our pricing works per set and we offer two convenient ways to pay up to 60% less for organic baby clothes. When your baby grows, send the clothes back to save up to 20% off the next size. Pick your style. Pick your set. We offer both new and preloved sets. Get all the essentials in one place and save time to focus on what matters most. Choose your style and receive adorable clothes that respect your baby’s skin, made from 100% certified organic fabrics. Pay less for organic clothing and earn credit when you return them. Avoid having money sleeping in your closet. Babies grow fast! Pioneer a new model of preloved clothing and help protect the planet. It feels good.